HOUSTON, Feb. 11, 2011 -- Whether it was love at first sight or a relationship that developed over time and many miles, there's no denying it -- drivers love their vehicles. With the holiday dedicated to love just around the corner, a national survey conducted by Jiffy Lube International shows that drivers shower their rides with affection just as they do a close friend or family member. More than a third of American drivers reveal they've humanized their relationships with their vehicle by providing words of encouragement, doling out compliments, and apologizing or saying thanks. Open communication is a driving factor in the relationship between man (or woman) and machine these days -- with many drivers admitting they very openly express their love and affection for their set of wheels. In fact, drivers are 30 percent more likely to encourage their cars for good performance than they were three years ago1. Today, 60 percent of drivers say they provide encouragement to their rides in various ways, allowing the relationship to blossom as the pair travels along the roads of life. How else are drivers showing love for their vehicles? Simple Support -- Drivers show their endearments in many ways, proving that sometimes actions speak just as loudly as words. Three-in-five drivers say they have shown affection for their cars by providing verbal support or physical gestures of encouragement -- such as rubbing the dashboard or steering wheel -- to get their rides to start up, speed up, not stall out or stop. Friendly Flirting -- More than a third of drivers compliment their vehicles. Dependability, superior performance and appearance top the list of drivers' reasons for bestowing praise on their rides -- if only the rides could flatter their owners in the same way. Abundant Appreciation -- Ever been thankful to get somewhere on-time, make it through rough weather or on a limited fuel supply? Almost half of drivers have thanked their cars for a job well done and nearly a third has apologized to their vehicles -- be it for driving recklessly or getting into an accident. 1SOURCE: Compared to survey conducted by Jiffy Lube International in 2007. Drivers' passion for keeping their ride alive has become a national trend, and today, odometers are sporting hundreds of thousands of miles, with more than a quarter of drivers aspiring to clock 250,000 miles or more before moving on2. Drivers who are passionate about standing by their ride for the many miles ahead can confess their love and share their stories with the Jiffy Lube Facebook community, "Keeping My Ride Alive." Visitors can cruise the site to browse photos and stories from other enthusiastic drivers, or share their own photos and stories. No matter what the relationship status, every driver is welcome to join the community by "liking" the page and uploading their vehicle's image and story. Visit www.Facebook.com/KeepingMyRideAlive to share a story and read about others. 2SOURCE: According to a 2010 Jiffy Lube International survey. 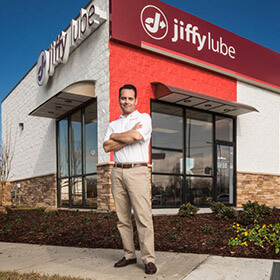 Drivers can also visit JiffyLube.com to find oil change coupons and promotions, Jiffy Lube news articles, community involvement programs and events, franchise information, and employment opportunities.